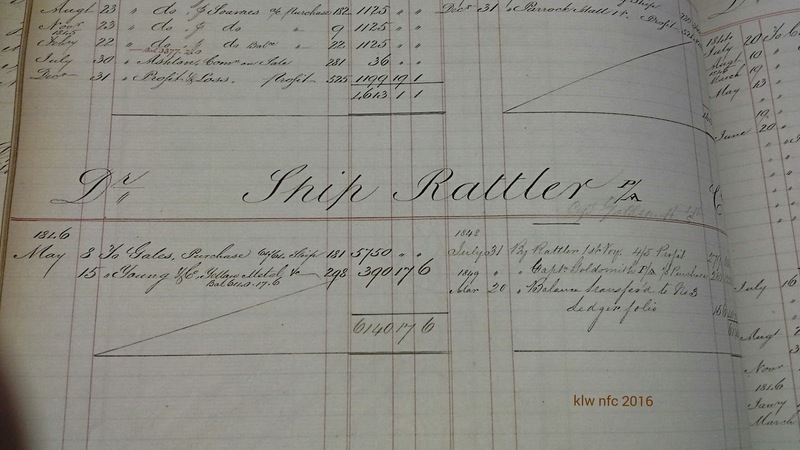 The A1 barque Rattler was designed specifically for the merchant trade between London and Hobart, Van Diemen’s Land (Tasmania). Weighing 522 tons and measuring 114.5 x 28.7 x 19.5 feet, the vessel was built at Sunderland in 1846 for Robert Brooks of London. Captain Edward Goldsmith (1804-1869) of Rotherhithe, Surrey and Higham, Kent, commanded this fine vessel from its launch in July 1846 on her maiden voyage to Hobart, until his last voyage as Master in 1850 before handing over to Captain Waddell in 1852. 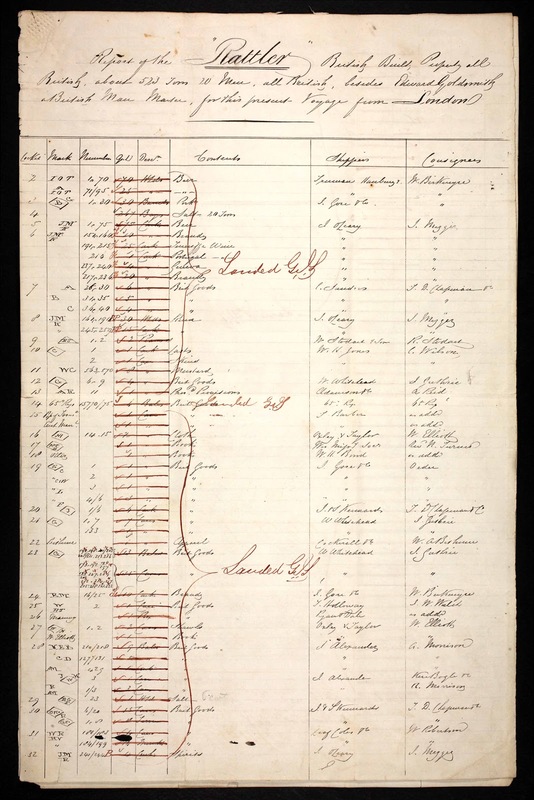 From London, sailed July 24th, State of health good, Master E. Goldsmith, Owner R. Brooks Esq., Tons 522, Port of registration London, Build British, Crew 21, Convicts [m,f, blank], Cargo general, Time when boarded 8.30a.m, Bearing and distance at Iron Pot Lighthouse NW. 6 Miles, Wind NNW, Weather Fine, Pilots name Lawrence. Agent T. D. Chapman For Van Diemen’s Land Cabin Passengers Mr Spode, Mrs Goldsmith. 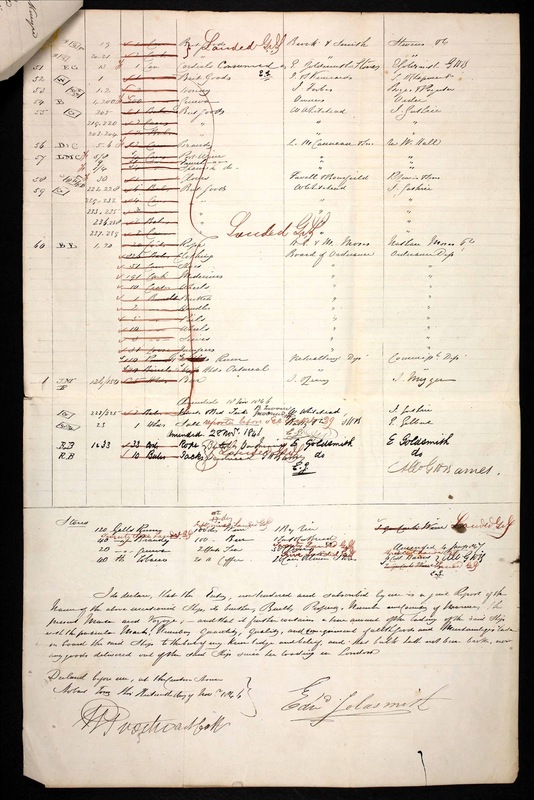 Steerage [blank] For New South Wales [blank]. 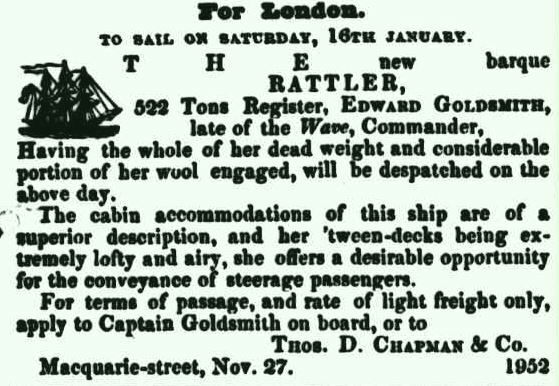 “Our old friend Captain Goldsmith, late of the Wave” was the affectionate report by the Hobart Courier as the Rattler waited to berth while the Sea Queen was taken off. Source: The Courier (Hobart, Tas. : 1840 – 1859) Wed 28 Oct 1846 Page 3 LOCAL. 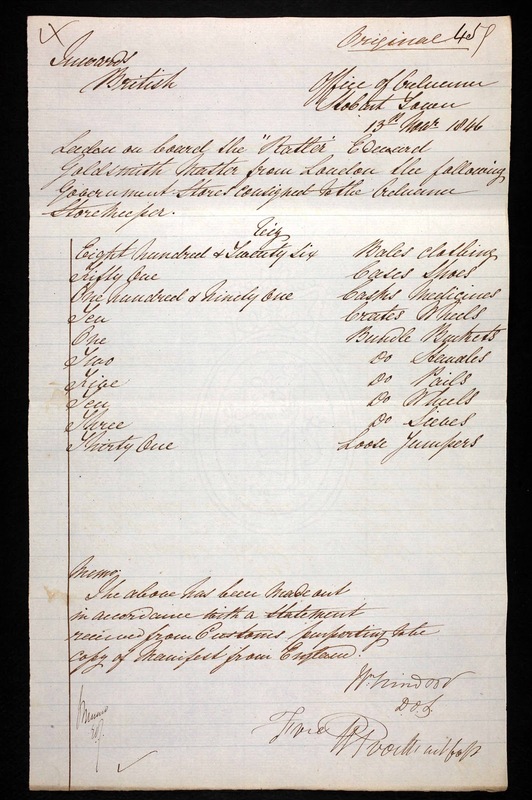 Just one other cabin passenger arrived at Hobart on the Rattler’s maiden voyage with Elizabeth Goldsmith; Josiah Spode, eldest son of farmer, chief police magistrate and colonial civil servant Josiah Spode of New Norfolk and Stoke Cottage. New Town, Tasmania and great grandson of Josiah Spode of Stoke Lodge, Stoke-on-Trent, England, founder of the famous Staffordshire pottery. This Josiah, the eldest of many Spode children living in Hobart, studied medicine in England and returned to medical practice in Melbourne. Source: The Courier (Hobart, Tas. : 1840 – 1859) Sat 14 Nov 1846 Page 2 LOCAL. Source: The Courier (Hobart, Tas. : 1840 – 1859) Wed 25 Nov 1846 Page 2 SHIPPING NEWS. The Mr. Pocock of “To Mr Pocock Landing Waiter” inscribed on the cover was Zachary Pearce Pocock (1816-1895) who was employed as a Customs Officer, Hobart, between 1843 and 1847. 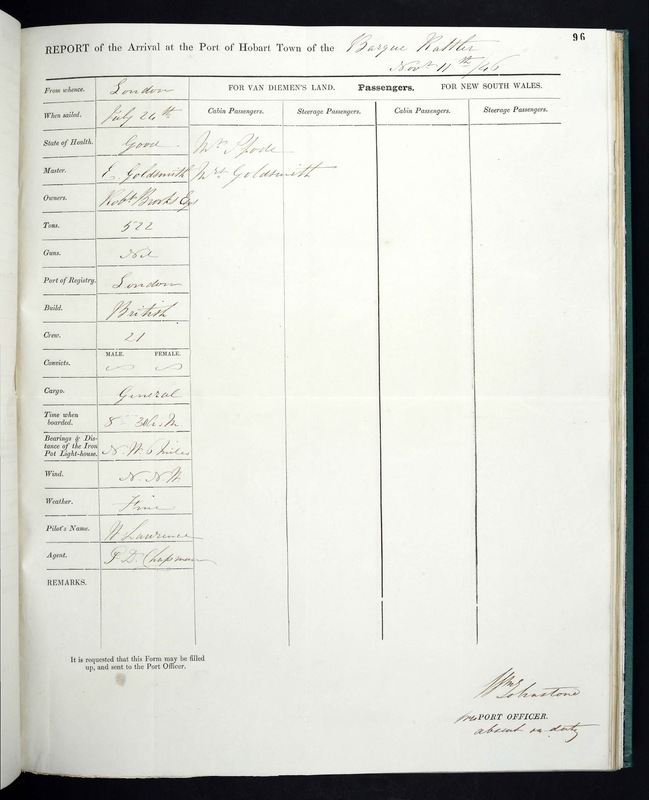 His occupation was listed as “Customs Dept.” when he registered the birth of his child, Zachary Pearce Thurlow Pocock, born to Charlotte Pocock formerly Thurlow in Hobart on 19th July 1845, baptised by Dr. Bedford on 8th August 1845 (AOT Names Index RGD33/1/2/ no 1120. 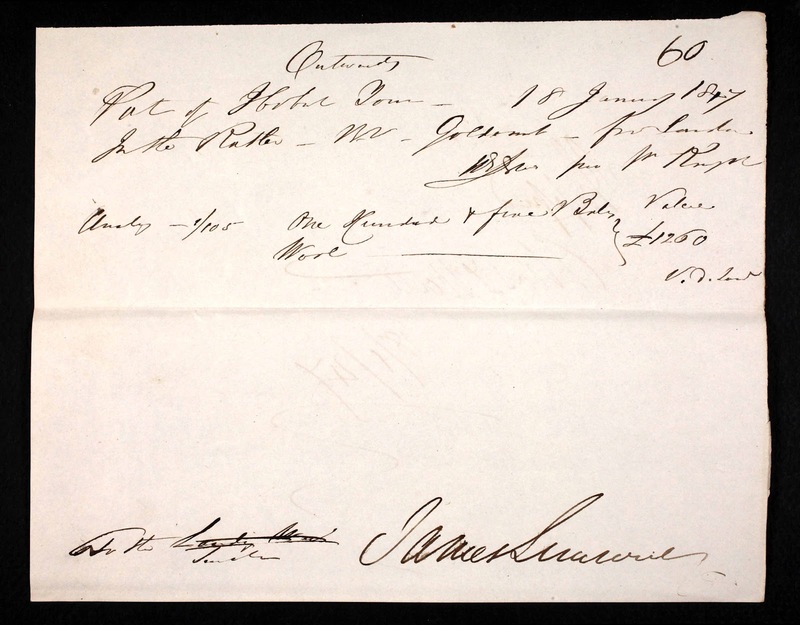 ), Qualified as a physician and member of the Royal College of Surgeons and Apothecaries’ Hall of London, Zachary Pearce Pocock and Charlotte Thurlow were married in London in 1843, and arrived in Hobart the same year. 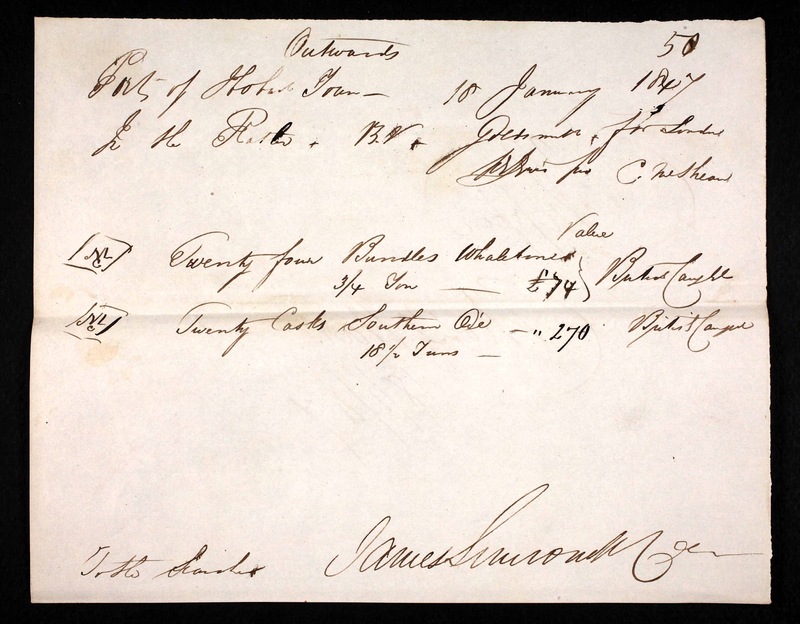 Within weeks of Captain Goldsmith’s departure for London on the Rattler in January 1847, Zachary Pearce Pocock, wife and two daughters departed Hobart for London on the Tropic in March, having sold their furniture from their residence in New Town Road. 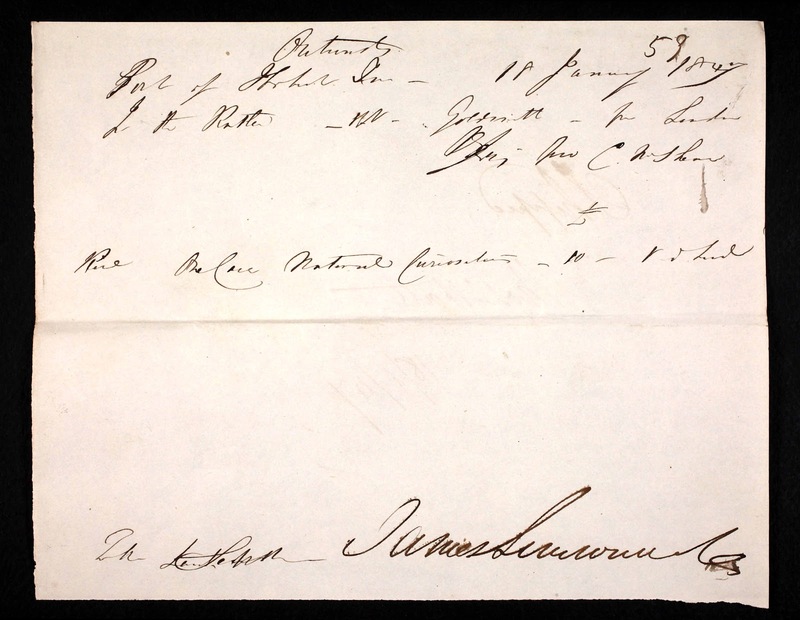 While in London, he published his letter addressed to the Right Honourable Earl Grey on the system of transportation and convict discipline … showing the evils attendant upon the system pursued in Van Diemen’s Land, and the remedy for those evils; with suggestions for the profitable employment of convict labour (1847). Zachary Pearce Pocock was not just the Landing Waiter at New Quay, Hobart to Captain Edward Goldsmith. He was well acquainted with the Pococks through a family connection. 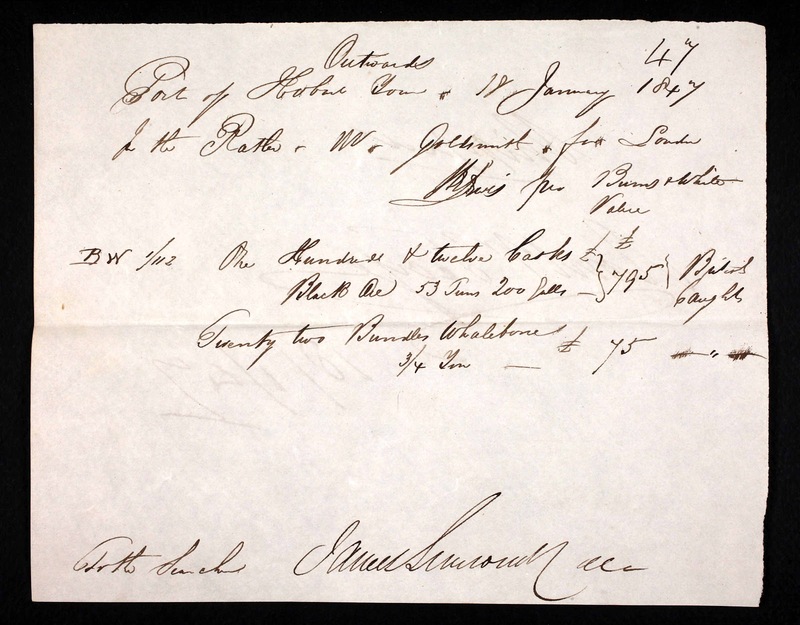 In 1841, Captain Goldsmith was a signatory witness to the marriage of Zachary’s sister Rachael Pocock to Captain James Day, brother of Captain Goldsmith’s wife, Elizabeth Goldsmith nee Day, at St. David’s, Hobart. Rachael Pocock (ca. 1812-1857) was mother of photographer Thomas Nevin’s wife, Elizabeth Rachel Day. The elder of two daughters (the second, Maria Sophia Day was born in Hobart in 1853), Elizabeth Rachel Day was born in London and baptised 28th April 1847 at St. Mary’s Rotherhithe. One reason for Zachary’ and Charlotte Pocock’s voyage back to London, departing in March 1847 and arriving in late June 1847 may have been the desire to visit his sister Rachael and his new-born niece Elizabeth Rachel Day. 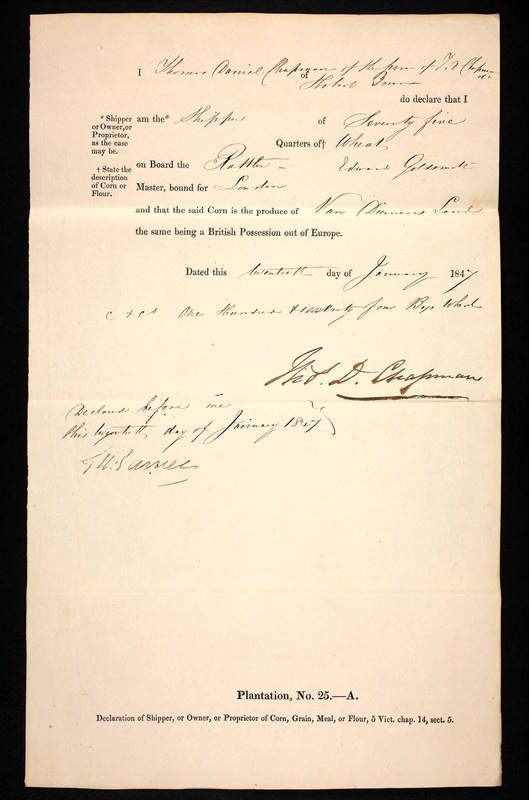 They remained in London long enough for Zachary’s wife Charlotte to give to birth to his own daughter Ann Mary Pearce Gibson Pocock six months later, on 13th December 1847. She was baptised at All Souls, Marylebone, London on 25th January 1848. 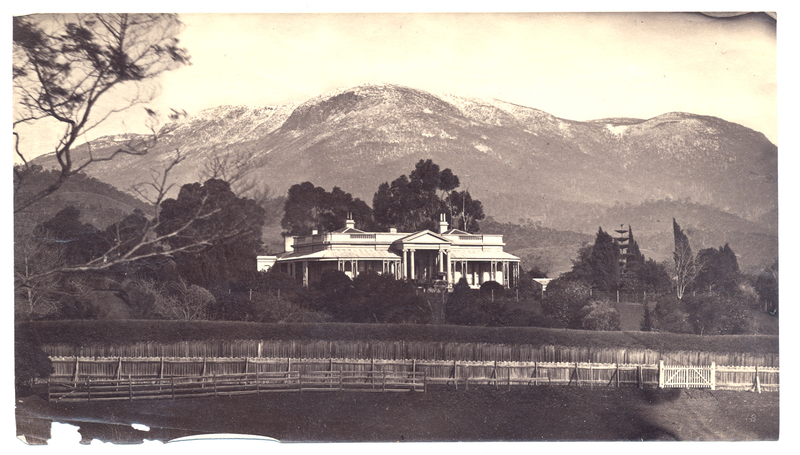 Zachary Pearce Pocock returned to Hobart in 1849 with his family to set up practice as surgeon and accoucheur at Green Ponds, VDL (Tasmania). Despite extensively advertising his practice, it was not a success. By the 1860s he had become an ordained missionary, addressed as the Rev. Zachary Pearce Pocock, chaplain of the remote settlement at Emu Bay (Burnie) Tasmania but without the promised stipend, he began farming the church burial ground. He published pamphlets on the virtues of Tasmania, on emigration and transportation, and wrote many letters to newspaper editors on railway development and capital punishment. He died at Sydney in 1895. His sister Rachael Day nee Pocock died of consumption at New Town, Hobart, in 1857. Her daughter, his niece and also the much adored niece of Captain and Elizabeth Goldsmith, Elizabeth Rachel Nevin nee Day, died at Hobart in 1914. Husband Thomas J. Nevin who was buried with the rank of “photographer” died nine years later in 1923. 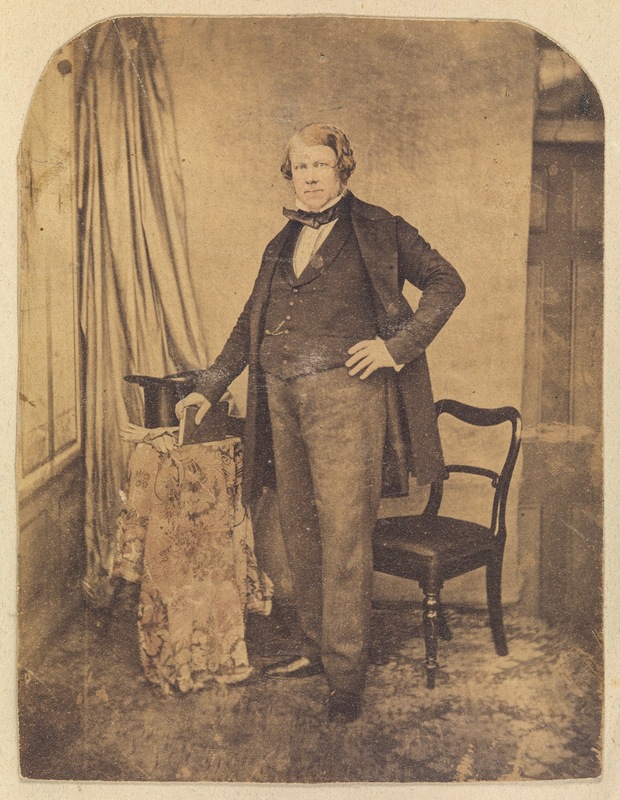 Thomas Daniel Chapman (1815-1884), merchant and politician, was born at Bedford, England. At 14 he entered the service of the East India Co. and made several voyages to the Orient. 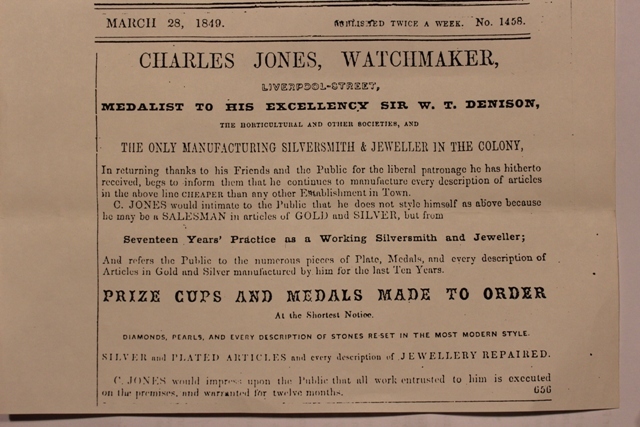 In 1837 he settled in London and soon became a partner in the firm of John and Stephen Kennard, general merchants. In 1841 on their behalf he took emigrants and stores to Circular Head for the Van Diemen’s Land Co. and then moved to Hobart Town to act as agent for the Kennards. In 1843 he married Katherine, daughter of John Swan, a Hobart shopkeeper. 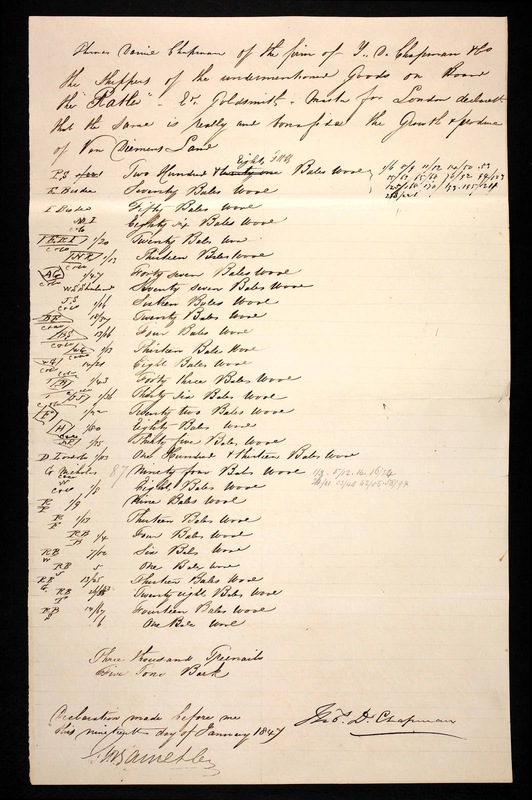 In 1847 he established at Hobart his own independent firm, T. D. Chapman & Co., importers and exporters; the main exports were wool, whale oil and timber, while the imports were groceries, hardware and clothing from England, sugar and corks from Mauritius and tea from Ceylon. 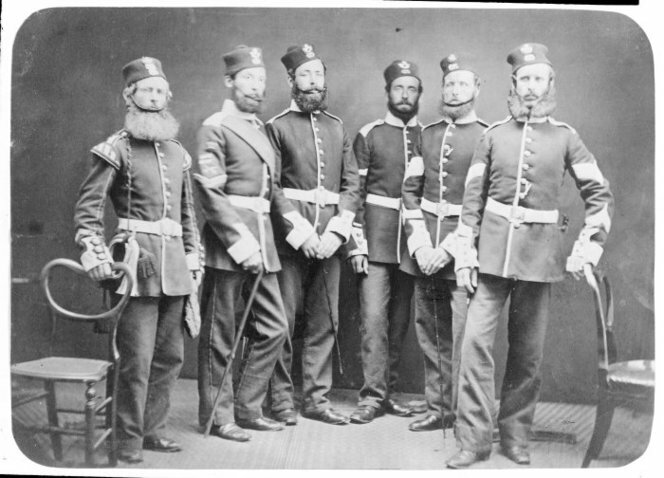 The York and Lancaster Regiment (“Royal Tigers”) or better known in New Zealand as the “Hickety Pips” by Maori, was in New Zealand for just over 18 years, between 1846-1865, as the 65th (2nd Yorkshire North Riding) Regiment. The regiment arrived in three detachments. The first under the command of Major Wyatt, with about 550 all ranks, landed on 19 November 1846 at Russell; the second, under the command of Capt. O’Connell, on 1 August 1846, at Wellington; the third, under the command of Lt.-Col. Gold, mainly wives and children, on 14 January 1847, at Auckland. Commanded by Lt.-Col. C. E. Gold, and later by Col. A. F. W. Wyatt, C.B. “New Zealand” worn on battle honours. The Wellington Regiment (City of Wellington’s Own) is allied. 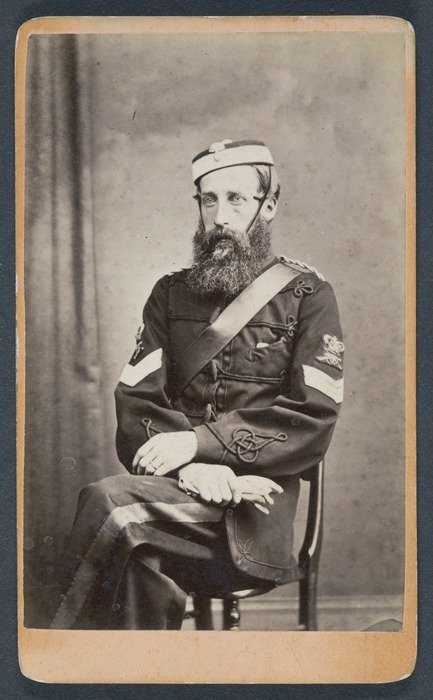 Portrait of Colonel Withers NZ 65th Regiment. Ramsden, Eric :Photographs relating to Ramsden and his family and Maori subjects. 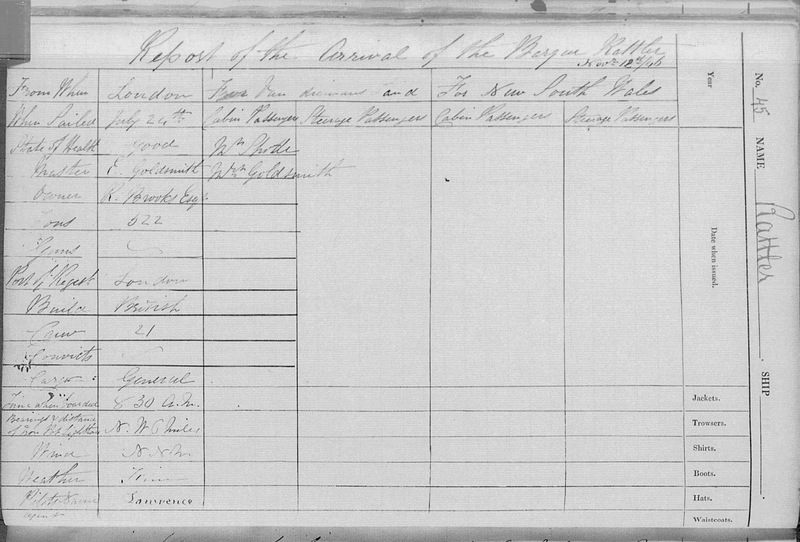 John Mezger emigrated from Germany to Van Diemen’s Land and is recorded as “naturalised” in 1835 (AOT: CSO1/1/760/16303). 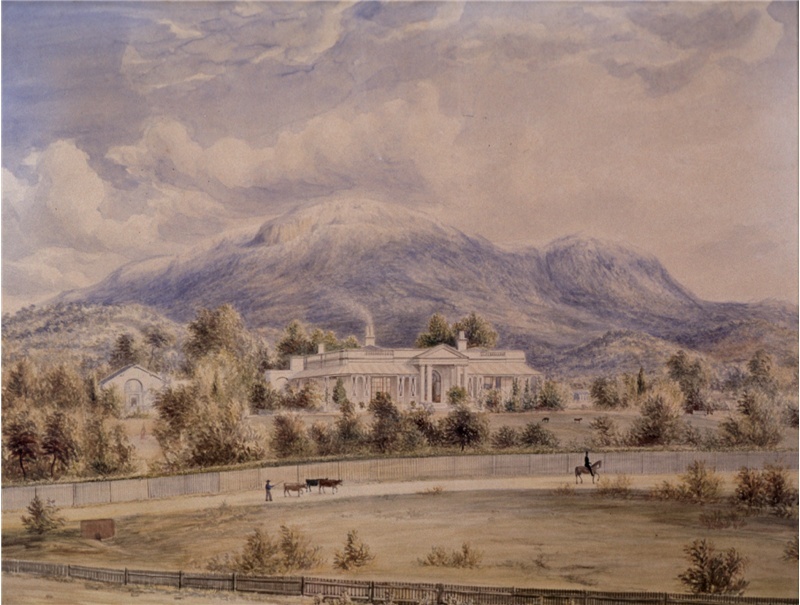 He was granted 34 acres of land in the north of Hobart, close to the Lady Franklin Museum, owned several houses including Cliefden, purchased for ₤278 in February 1839, and Lauderdale (1844) at New Town. 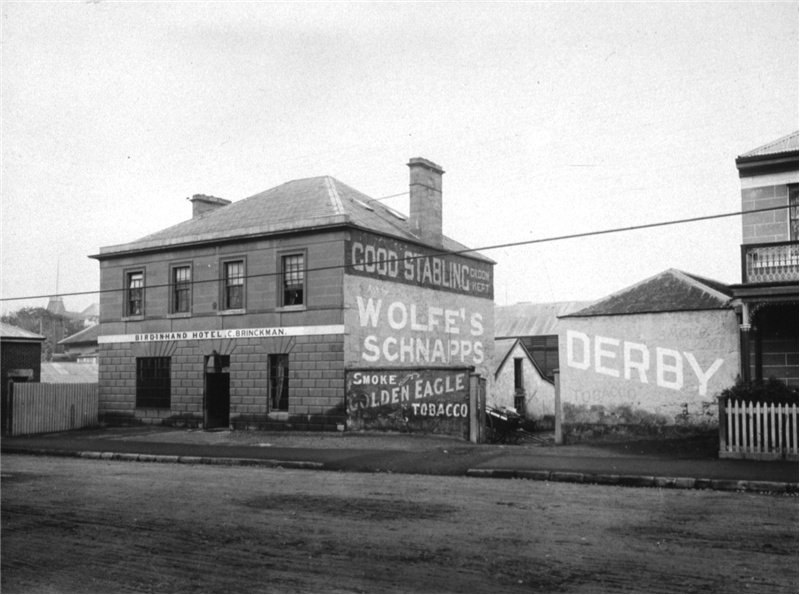 He operated both a brewery and several hotels including the Bird-in Hand in Hobart and the Black Snake at Bridgewater. 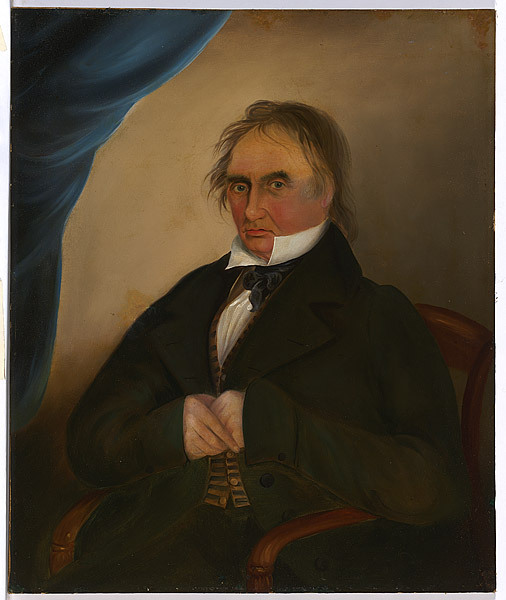 Convict Robert Tuck was assigned to John Mezger in 1835 as groom and house servant. 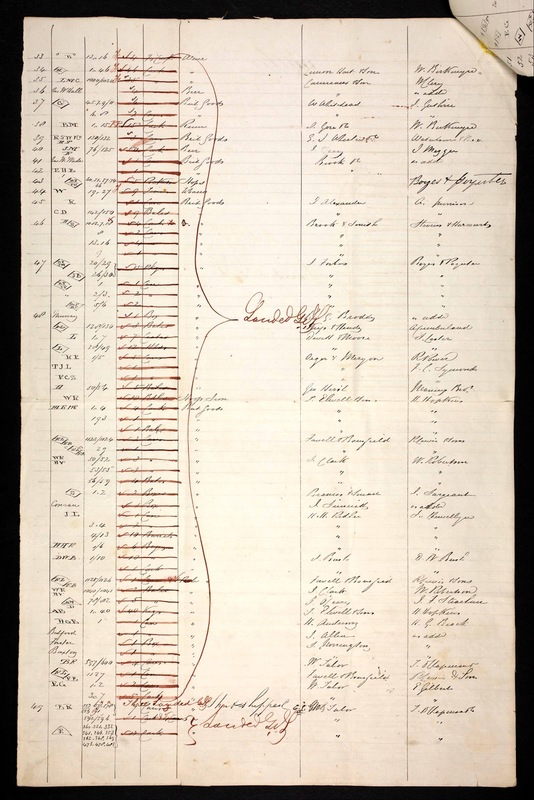 Mezger’s cargo on this voyage included dozens of hogsheads of beer, brandy, Teneriffe wine, Portugal wine, Geneva [i.e. gin], and spirits, including rum. 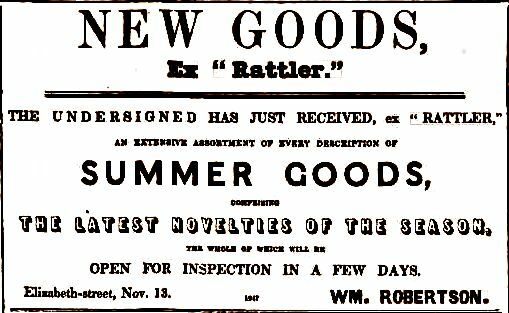 A case of cordials consigned to Captain Goldsmith was consumed en route. Former convict Charles Jones manufactured the goblet given by the Hobart City Corporation to Captain Edward Goldsmith in 1849 as a testimonial to his services to the colony, especially for his importation of plants from “the finest English nurseries.” The whereabouts of Cpt Goldsmith’s goblet which he said he would keep to his death, and which happened at Gads Hill, Higham, Kent in 1869, is not known. 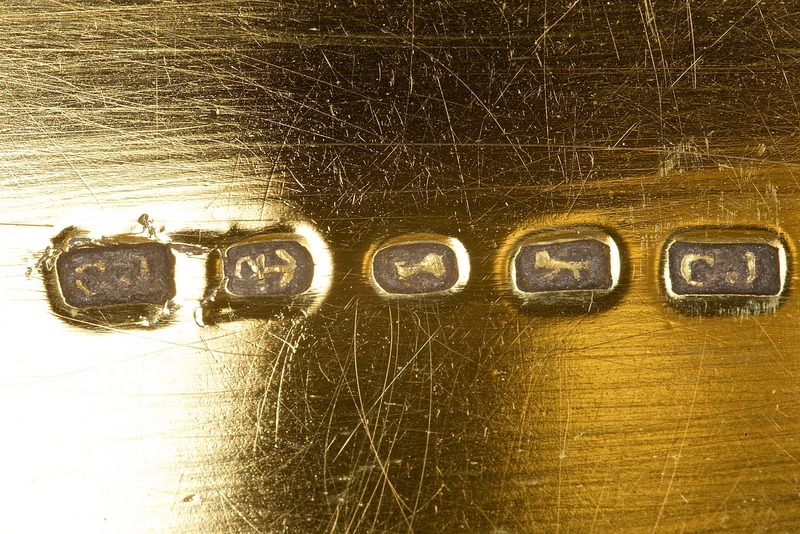 It may have been lost at sea, it may have stayed in the Goldsmith family until the death of his daughter-in-law Sarah Jane Goldsmith, in 1926, or sold at Gravesend at auction from Edward Goldsmith’s estate in 1870. 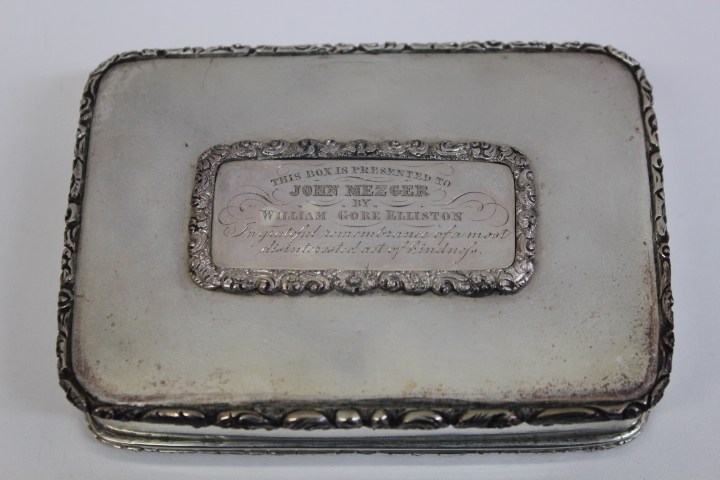 A year earlier than Charles Jones’ manufacture of the goblet given to Edward Goldsmith, he made this snuff box for William Gore Elliston to be presented to John Mezger, in thanks for a kindness several years before. The return voyage to London on average was longer than 100 days, lasting at least three and half to four months. 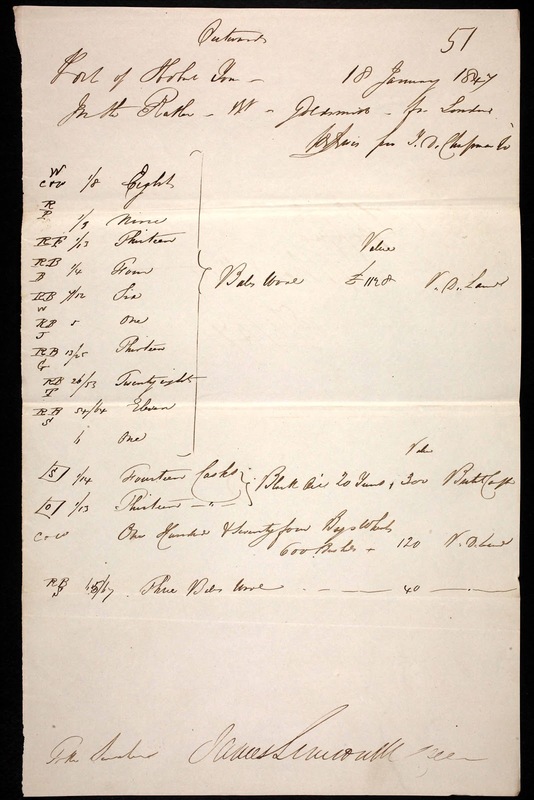 Although Captain Edward Goldsmith’s voyage to Sydney in 1844 on the Parrock Hall was one of his fastest, 105 days, he was sometimes delayed at the Falkland Islands for repairs to the ship and supplies for the crew. 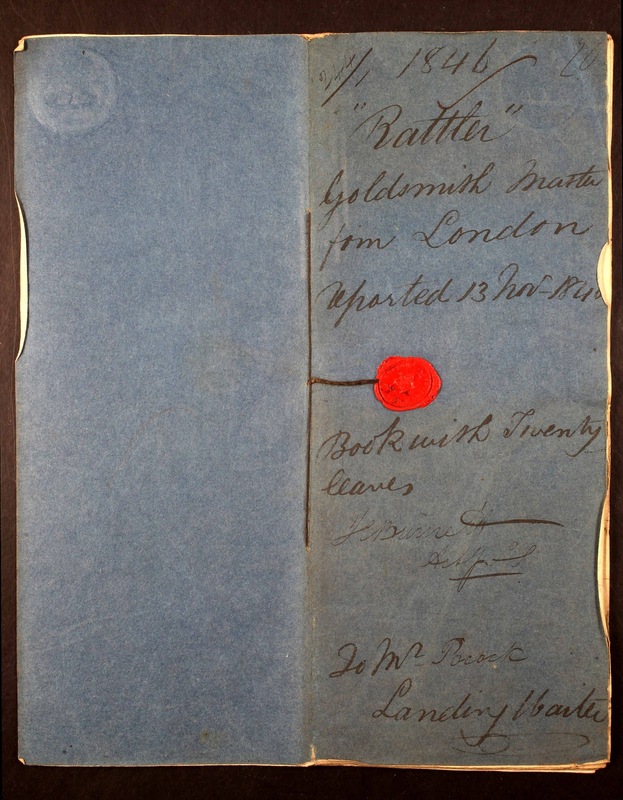 Elizabeth Goldsmith nee Day would have arrived back in London too late for the birth and baptism of her niece Elizabeth Rachel Day at St Mary’s Rotherhithe on 28th April 1847 (b. 26th March). This daughter of her brother Captain James Day and Rachael Pocock, named after her aunt and mother, would return to Hobart with her parents and become the fiancee of photographer Thomas J. Nevin by 1868, his wife by 1871, and mother of seven children by 1888. 552 Tons Register, EDWARD GOLDSMITH Commander, having a considerable portion of her cargo engaged will be despatched early in January. This ship has magnificent accommodation for cabin passengers, and the ‘tween-decks being exceedingly lofty, she offers an excellent opportunity for a limited number of steerage passengers. THOS. D. CHAPMAN & Co. Macquarie-street, Nov. 17. 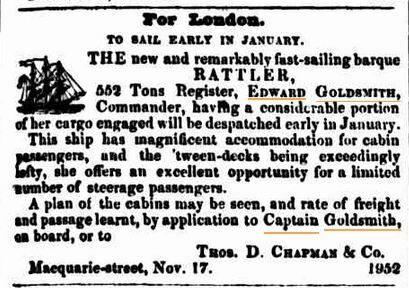 January 20.- Sailed the barque Rattler, Goldsmith master, for London, with a general cargo. Passengers – Miss Rowe, Mrs Goldsmith, Messrs Lafferell, McDowell, Campbell, Shackleton, Best, Crawford, J. Horne, R. Hutt, G. Chambers, Mr and Mrs Benson and five children, Mr and Mrs Poole, Mrs Elphinston, and Mrs Dexter. Source: Shipping Intelligence. PORT OF HOBART TOWN. 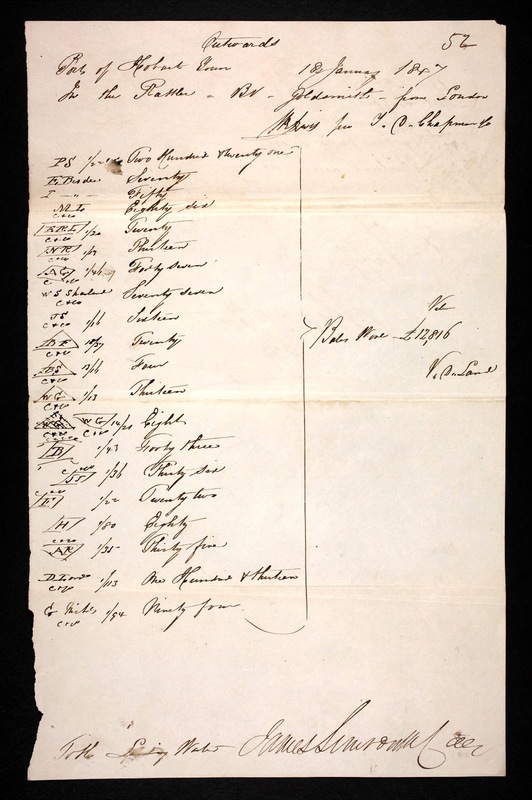 On January 18th, 1847, T. D. Chapman’s inspector Thomas Hall submitted this report of goods loaded at the Port of Hobart Town ready for shipment on the Rattler for London, Edward Goldsmith, Master. 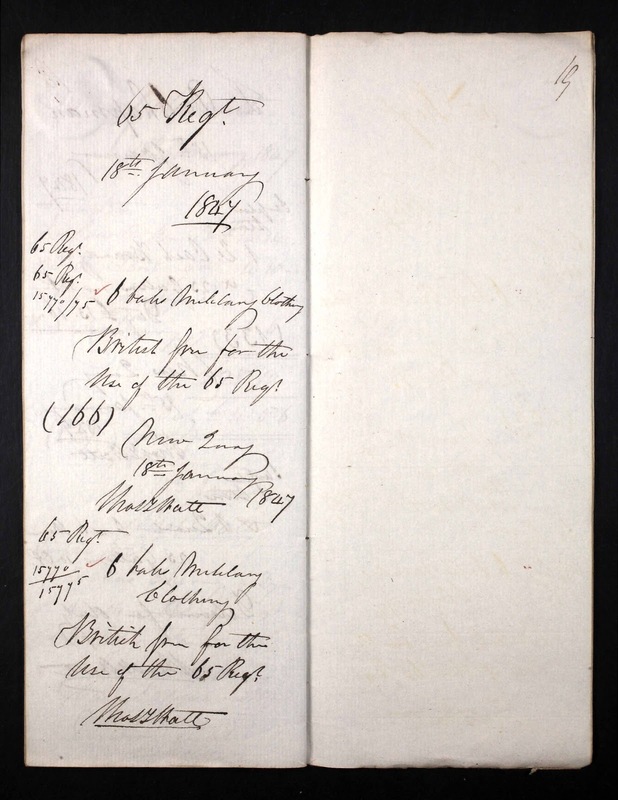 The initials of the exporters of wool are listed on this summary document. The initials of the exporters of whale oil and whale bone are separately encased in a diamond shape. 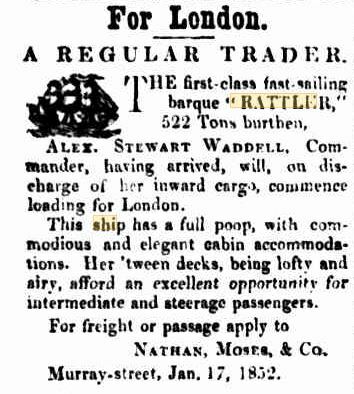 Rattler, Goldsmith, 18 January 1847: Shipper T. Chapman.